Everyone who has read the bible is aware that marriage is a lifetime commitment. Man and wife become one until parted by death. His blueprint for marriage is certainly a beautiful one but divorce happens and according to statistics, is happening more often. Today, marriages have about a 50% chance of success. The bible specifies certain grounds for divorce but beyond those grounds, there is no justification for divorce and remarriage in Scripture. Jesus addresses this in the New Testament and replies that Moses permitted divorce due to the hardness of hearts and discusses how marriage is God’s way of joining two people and that cannot be separated. Jesus also states the only acceptable grounds for divorce which are adultery, an act that immediately severs a marriage since it is a sin, and the Pauline privilege. In Scripture, the Pauline privilege permits divorce between a believer and a non-believer. To say it loosely, if the non-believer leaves, let that person go. The believer is also allowed to remarry on these grounds. Those are the only reasons for divorce in the bible. There are many reasons for divorce that are not stated in the bible. Whether they are justifiable or not is a matter of opinion but as we know, divorce happens. People do part ways and move on with their lives. Below are the top 5 reasons for divorce. After saying, “I do” some people just get lazy. Anyone that decides to marry must remember that staying married requires work. Both spouses must make the effort to communicate effectively, maintain the romance, the passion and the emotional/mental connection. Divorce bible verses can actually benefit marriages by motivating couples to give their marriage 100%. After time has passed, couples can reach a point where they find themselves unable to get along. When there is no resolution on a consistent basis, a relationship plummets. When arguments occur often, resentment builds and the home is no longer a happy place, divorce is viewed as a way to get out of a negative situation. Communication breakdown is detrimental to a relationship. When that goes it is hard to connect on all the essential levels including emotionally and physically. Spouses are then left unfulfilled. The thing is, there are so many ways to improve communication. This involves breaking down barriers, taking part in various exercises, using positive language, mindfulness and making a conscious effort to return to a healthy place. It is hard for two people to stay together when set on different paths. This is why marriage planning is recommended for those planning to wed. An important step in that planning is having a conversation about goals and future plans to ensure both individuals are on the same page. One of the two grounds for divorce in the bible is infidelity. Not only is it the ultimate betrayal but it usually deems relationships irreconcilable. Actually stepping out of the marriage is one of the worst things a spouse can do. 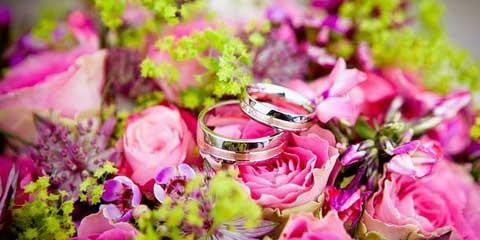 Marriage is something beautiful and is a commitment that deserves respect. So many vows and promises are made along with forming a household together and bonding in the most intimate of ways. As displayed in divorce bible verses, He is not keen on divorce but in some instances, it is allowed. Deciding to split after making a huge commitment is tough. Unfortunately, situations are not ideal but this is why those who decide to marry must not view marriage with rose colored glasses. The wedding, honeymoon and newlywed stage are amazing as are the times after but there will be bumps in the road that require effort. Ask yourself if you are willing to put in that effort and use the bible as a guide while making that assessment.